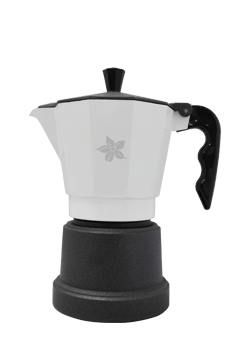 Whether you are a world champion barista or a coffee enthusiast at home, the V60 dripper offers you to experience your favourite coffee beans with a fresh new taste. 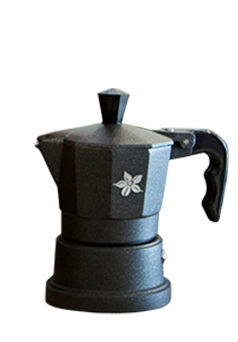 It won't provide the same heat retention properties as the others, but that shouldn't stop you making an incredibly satisfying brew. 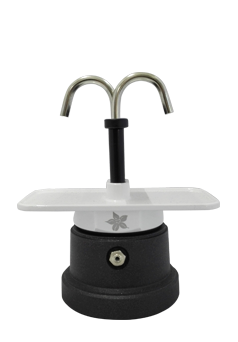 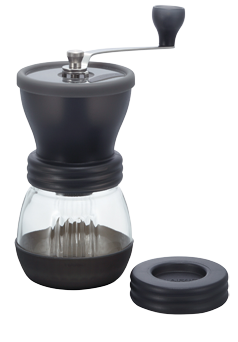 This particular plastic v60 dripper is lightweight and ideal for travelling. 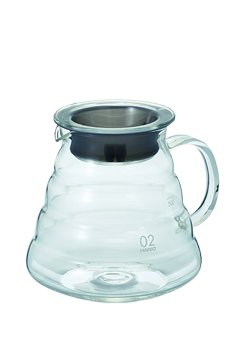 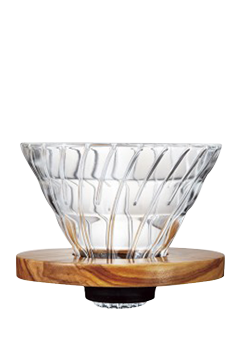 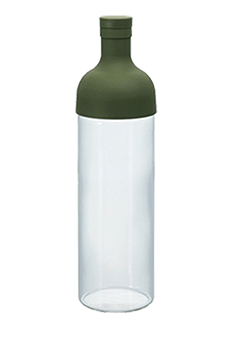 The V60 Range Server Clear is an all glass carafe, with great thermal stability. 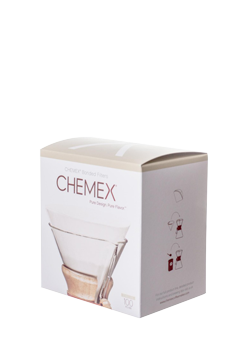 It is also compatible with Hario V60 drippers. 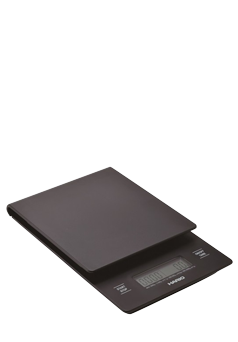 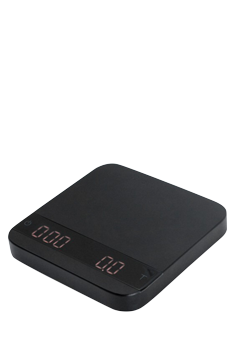 The scale designed for coffee enthusiasts that monitors the weight, time and flow-rate as you brew coffee. 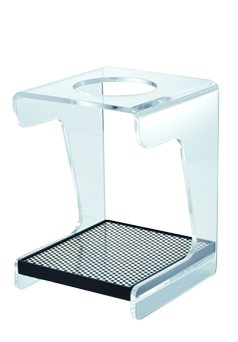 The lunar scale from Acaia continues the functional and aesthetic experience of the acaia scale collection, now represented by a more compact size that fits into the drip tray of an espresso machine. 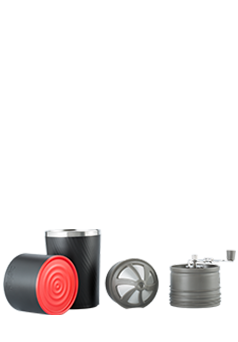 The lunar is built with a premium quality aluminum body that is stylish and durable. 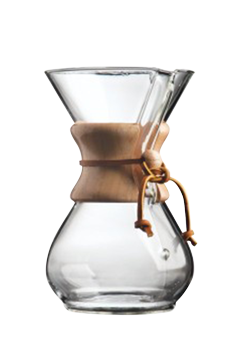 In order to brew delicious coffee, extraction quantity and extraction time is essential. 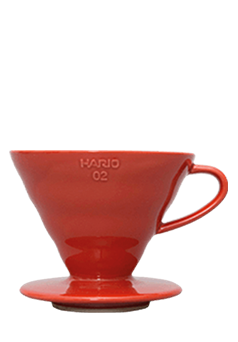 Hario coffee and drip scale is used to simultaneously measure both of these factors. 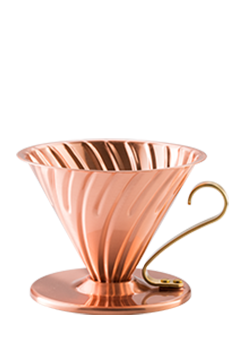 Made of solid copper and brass, Hario V60 Copper is the perfect tool to control brewing time and temperature. 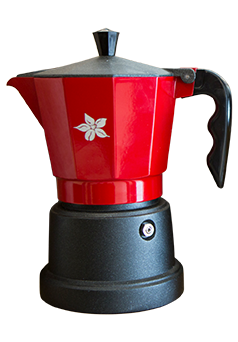 Copper metal and high thermal conductivity allow the heat to be transferred evenly to the coffee grounds. 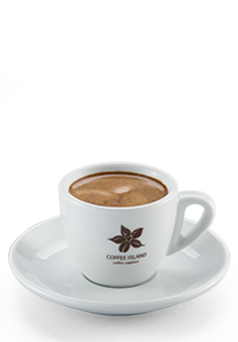 Pouring hot water over the ground coffee will surely elevate coffee taste. 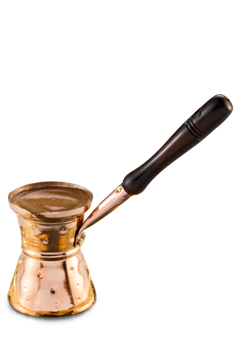 It is one of the most known and simple brewing methods of filter coffee, which was invented in the early 20th century in Germany. 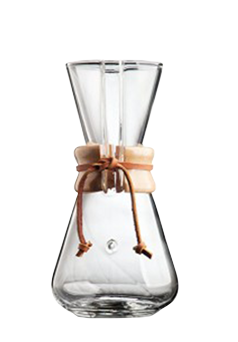 A simple ceramic cone and a paper filter where ground coffee is placed. 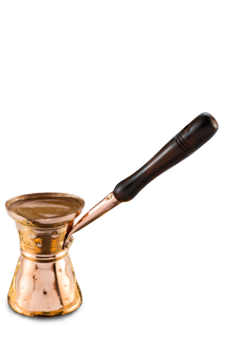 Pouring hot water will make ground coffee drop directly at the cone’s base into the serving vessel we use (coffee decanter, cup). 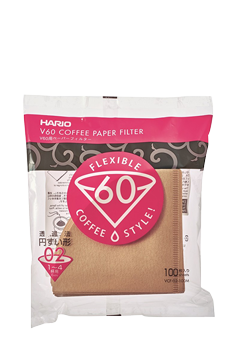 Original V60 oxygen bleached paper filters made in Japan are ideal for any coffee dripper in 02 size. 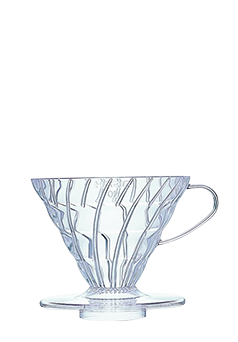 The white coffee filter plays a vital role in the V60 drip process. 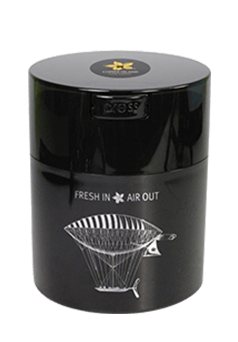 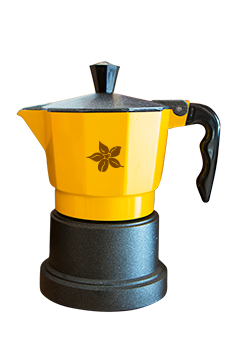 It allows you to extract all the goodness and aroma from your fresh coffee grounds while filtering all the unnecessary oils. 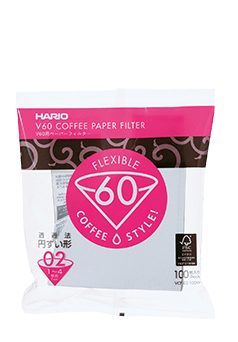 In addition to that, the V60 filter papers are easy to use and extremely convenient to dispose. 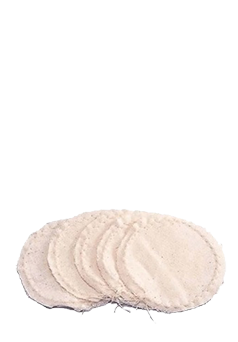 The coffee filters are also biodegradable which means they are good for the environment. 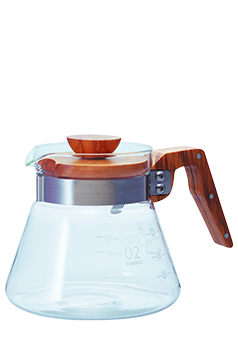 The popular Hario Buono Kettle with the ergonomic design, features a low-mounted spout for a steady and controlled pour. 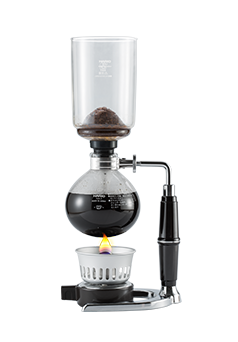 The Syphon coffee maker was designed in Berlin around 1830. 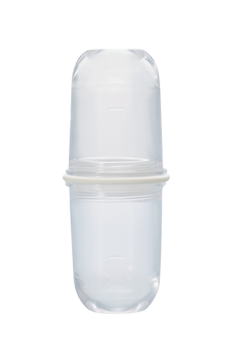 Over the years, there have been several variations, regarding to the material of the chambers (usually glass), as well as the filter (cloth, plastic, etc). 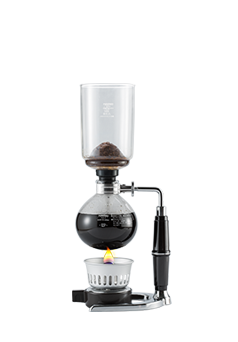 A Syphon device extracts coffee using water boiling in the bottom glass chamber that due to vapor pressure, is pushed up into the top chamber, where it is mixed with ground coffee. 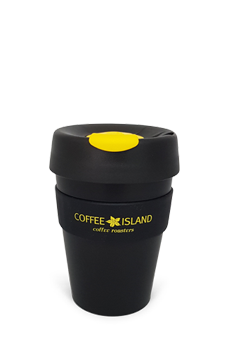 When the heat is removed, coffee passes through the filter into the bottom chamber, leaving the spent grinds in the top chamber (re-usable filter included). 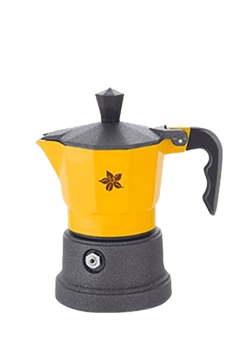 Cafflano Klassic is an all in one coffee maker, that includes all the necessary hardware for a great cup of coffee. 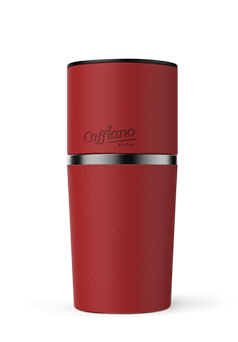 In order to enjoy freshly brewed coffee, you only need Cafflano Klassic and your favourite beans. 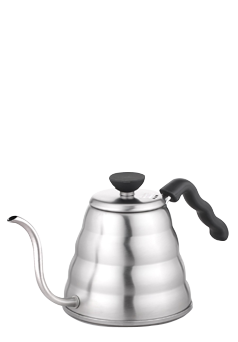 Cafflano Klassic is portable and includes a drip kettle, a hand mill grinder, a metal filter dripper and a cup. 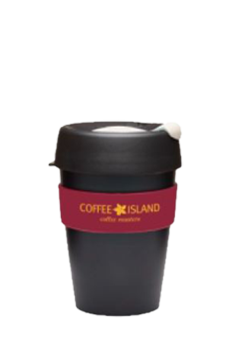 It was designed in 2005. 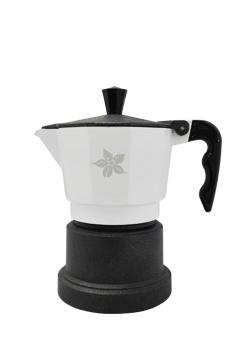 It is used to prepare both filter coffee and espresso depending on the recipe. 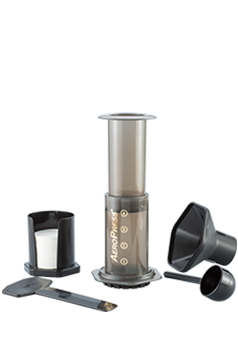 Extraction is achieved by pressing the mixture of hot water and coffee placed in the aeropress chamber (filters included). 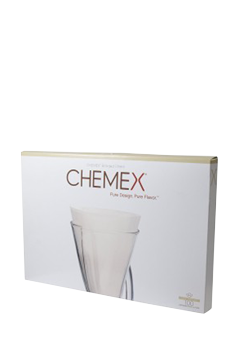 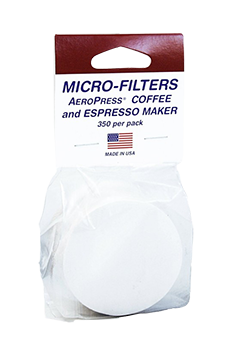 AeroPress paper filters ensure every cup which is brewing with AeroPress is both clean and full bodied. 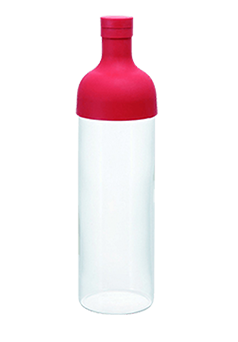 Hario Latte Shaker is the ultimate coffee gadget for the lovers of cappuccino, hot or on the rocks. 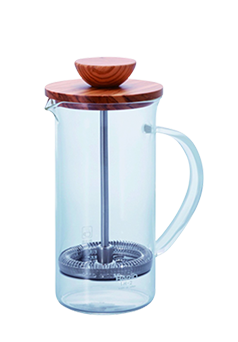 The tea pitcher is well designed and elegant, made of heatproof glass, stainless steel and natural wood that can be used casually with ease, allowing you to het maximum flavour in every cup. 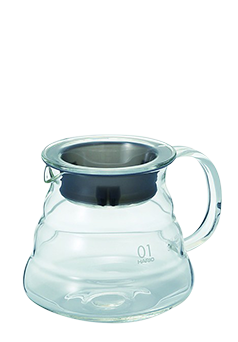 The Hario Tea Maker Largo will make any tea enthusiast smile instantly. 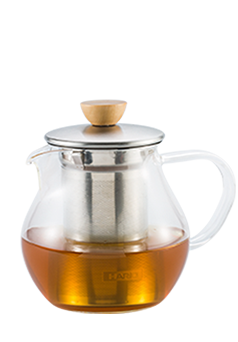 The process of brewing your tea manually each morning, using your proffered leaves will never be the same. 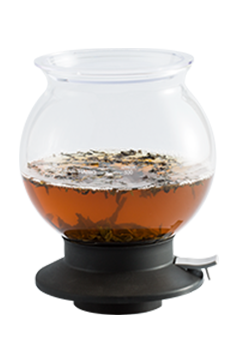 To brew delicious tea with Largo Tea Dripper, add the leaves into the top bowl, pour hot water and let them steep until ready. 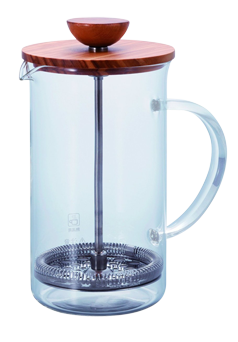 Once brewed press the “largo button” and your tea will run down into the tea server ready for you to serve. 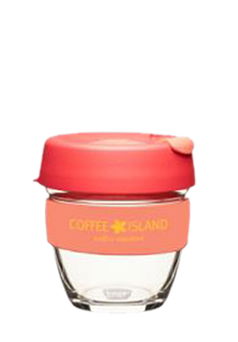 Keep your coffee in Coffee Island’s unique designed TightVac Container. 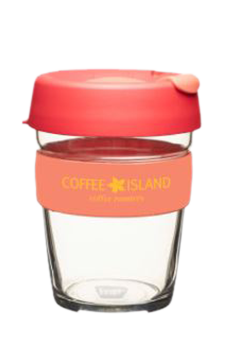 Keep your coffee in Coffee Island’s unique designed Tight Vac Container. 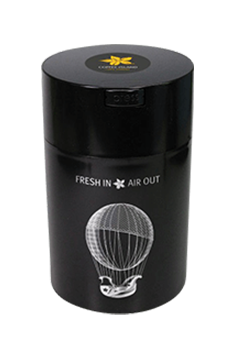 Available for quantity up to 250 ml. 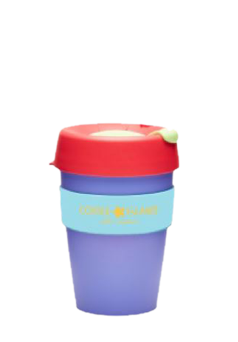 Keep Cups are the No1 re-usable cups that you can get. 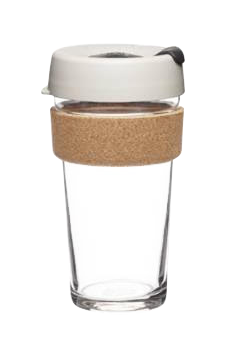 With your Keep Cup, you can enjoy your coffee or beverage to the maximum again and again, wherever you are… at the office, at home or when on holiday. 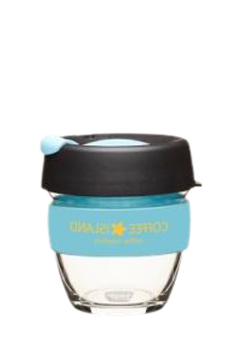 Keep Cups are the No 1 re-usable cups that you can get. 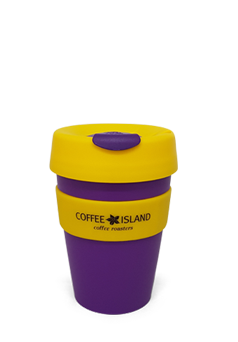 With your Keep Cup, you can enjoy your coffee or beverage to the maximum again and again, wherever you are... at the office, at home or when on holiday. 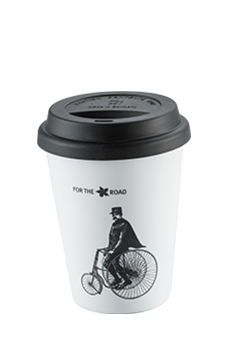 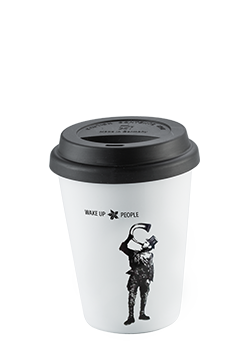 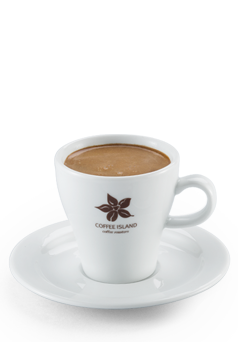 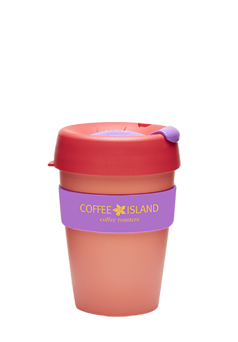 Enjoy your hot coffee or signature beverage at Coffee Island and discover our Coffee Island cups with a unique design.